Shrishti Art Gallery is one of the leading art galleries in South India where established as well as next generation artists have showcased varied forms of contemporary art in all mediums. More than a hundred exhibitions (including paintings, sculptures, graphics, etchings, drawings as well as new media such as installations) of artists from all over India have been showcased at Shrishti. The word Shrishti denotes creation. It is with this forethought that Shrishti Art Gallery was ideated in Hyderabad about twelve years ago by the late Remani Nambiar. The gallery is not just a space that showcases eminent Indian contemporary art works, but forms a creative space for upcoming artists. At Shrishti, creative expression is encouraged in varied ways – through regular exhibitions of young and senior artists, art camps, lectures and workshops. This, often in unison with other art forms such as music, ikebana, poetry etc, brings a unique holistic perspective of art. The gallery's mainstay is to nurture the aesthetic elements in every individual and bring out the best in them. By providing a platform to talented and upcoming artists, it has identified the latent creativity in these artistes. Combining a deep knowledge and appreciation of Indian contemporary art with market reach, Shrishti has curated more than a hundred exhibitions of artists from all over India and in the US and showcased its works at Art fairs. In the process, the gallery has reached out to art lovers on a meaningful level and exposed them to aesthetic facets. Currently, Shrishti is being managed by Lakshmi Nambiar, Remani's daughter, whom she had honed for many years to carry Shrishti's work forward. Remani was a gallery-owner and art collector, an Ikebana practitioner and Ikebana teacher. Remani set up Shrishti Art Gallery in Hyderabad in 2002, to establish a "creative space" for art to be experienced freely in Hyderabad. In its 12 years of existence Shrishti Art Gallery has come to be considered synonymous with Art in Hyderabad. 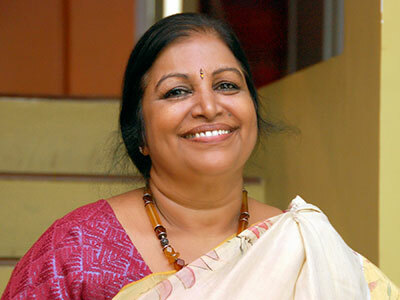 Remani is also appreciated for the impact that she has made in Hyderabad and to its upcoming artists. Remani Nambiar was also passionate about Ikebana (Japanese art of flower arrangement and was a qualified trainer). She had given various demonstrations in India and exhibited in different parts of the world. She went on to coin the Hyderabad chapter of Ikebana International and gave the chapter further prominence within the international community when she brought the Asian regional conference to Hyderabad and chaired it. Shrishti was a passion for Remani Nambiar, who died in January 2014 leaving behind everlasting imprints on her family, friends, artists and patrons. 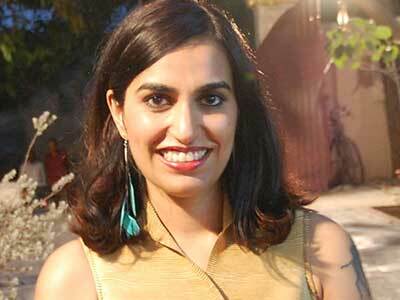 Lakshmi Nambiar is an investment banker turned gallery owner and an avid art collector. Indian contemporary art has been a passion for Lakshmi and that is what led her to take on the Shrishti mantle forward. Lakshmi has successfully curated numerous shows and showcased Shrishti at Art fairs. Lakshmi graduated with high honors from Boston University School of Management where she completed her MBA in Finance. She also has a Masters degree in economics from Gokhale Institute of Economics and Politics, Pune.